It’s the last day of the year – perfect to look back – in happiness and surprise, in sadness and sorrow. A great year for Jazz? A good one for sure – great recordings and fantastic live music give witness to that. The jazz market as such seems to be more and more difficult with less shops selling jazz CD’s to an audience that actually would buy them, see sales at concerts and festivals as prove of that. There isn’t much to say about these records, except that they stood out of the masses of jazz releases and made an important contribution to the genre – the Hersch/Lage album through amazing playfulness and improvisational invention; Gregory Porter once again through his incredible talent as a songwriter and performer and the perfect fitting production by Brian Bacchus and Wayne …. Wayne is Wayne and can’t do anything wrong it seems. Musicality on the highest level. You might wonder why my top ten list doesn’t include any of the OKeh releases – simply because I am so close to these that I think it would be clear that they will always occupy the top of any list for me and therefore I have not included them. But all of them should be in the various Best of 2013 lists …. These are closely followed by Marc Cary’s performance at the jazzahead in Bremen and Jose James gig at the North Sea Jazz in Rotterdam. And many more great shows by many amazing artists and their bands. Branford’s group is just one of the best live jazz groups around today – their understanding is beyond normal categories and only few other groups can reach these heights, their improvisational skills are above most others and the compositions by Branford and Joey simply stunning …. and when they tackle a standard one is always in for a surprise. Together with only a handful other bands, the best you can hear on a jazz stage today. Dave Holland’s PRISM featuring Kevin Eubanks, Craig Taborn and Eric Harland has been on my gigs of the year list already last year, but at Ronnie Scott’s they showed again how powerful and subtle at the same time they can be. Two sets of truly exciting music and top improvisations from this band of masters. I simply love Gregory Porter … the voice, the charm and the power on stage … it all makes a concert a great event. In terms of books, the one that impressed me most was The book thief by Markus Zusak, a recommended read and soon a major movie.Gone Girl by Gillian Flynn and The Secret Life of Salvador Dali, by himself, were other captivating reads, beside the usual crime stories I like to read when travelling. Blue Jasmine by Woody Allen would top a best movie list, followed by The Butler, The Help, La vie de Adele and of course the spectacular The Hobbit 2. But 2013 was as well a year of sorrow with many great jazz musicians leaving us, as well as two friends and colleagues in the world of jazz: Heinz Krassnitzer and Veit Bremme, two amazing human beings I had the pleasure to meet and get to know and be friendly with for many, many years. Their passionate contribution to jazz in Europe has been immensely important, but more so their friendship. They will be surely missed and the world is definitely a sadder place without them. They will not be forgotten and have a place in many artists and my heart forever. A short preview into 2014: from my side the new year will be a busy one, making OKeh one of the driving forces in the world of improvised music by releasing recordings by exciting new artists like James Brandon Lewis, Nir Felder, Somi, Jo-Yu Chen and Theo Croker, as well as bringing more established and heritage artists to the label. The economic worries in Europe are not over, but with some luck might just getting a bit better. It has been a while that I wrote my little blog – so here we go: lots of things happened since the last time – great news and less good ones, great music and lots of work for the OKeh event in New York on January 11th. 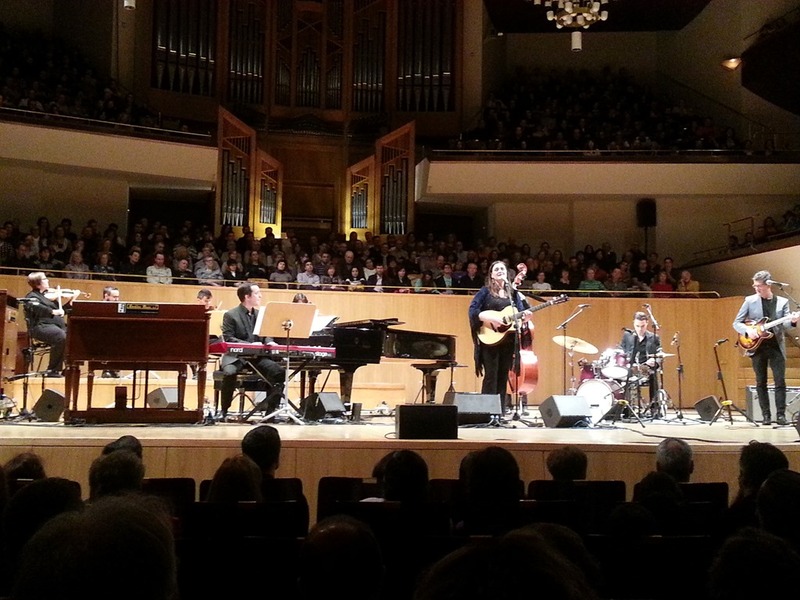 We went to see Madeleine Peyroux perform at the Auditorio Nacional in Madrid – repertoire: her latest album The Blue Room, which is doing very well for her and is a great record of covers and a tribute to Ray Charles. With a tight band and an amazing performance from Madeleine, this became a great night out, with music performed as you would expect it from her: slow and emotional, her unique phrasing sometimes leaving the melody only to make it stronger when coming back into it. 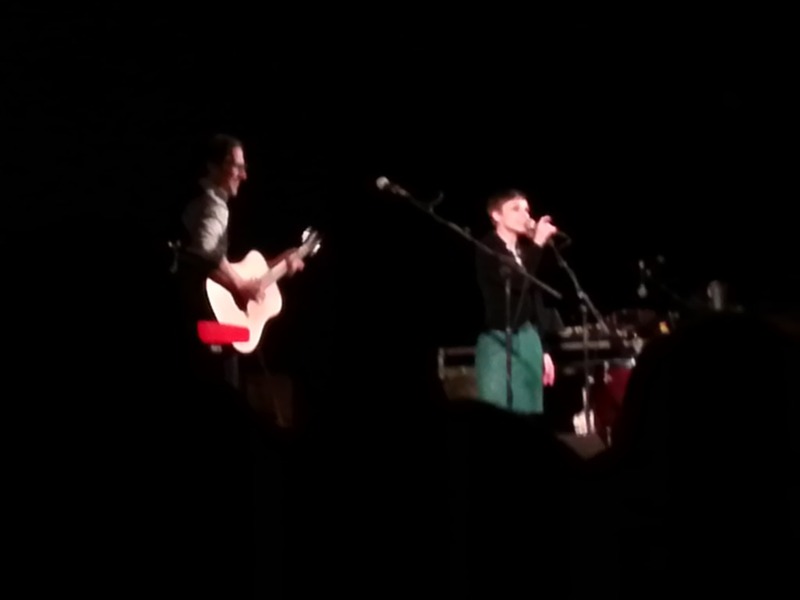 Then it was Kat Edmonson, supporting Jamie Cullum in Madrid – just her and Steve Elliott on guitar – a tough call, as she had to deal with an audience waiting for Jamie and that didn’t pay much attention to her. Under the circumstances she did very well and made a few new friends – building a career. She spoke a bit of Spanish to the crowd and sung a Spanish song as well – which was appreciated and they loved her for making an effort. Some mobile phones came out and therefore people will remember her – a good ground to move forward on. This was followed by some great news: Michel Camilo won the Latin Grammy for Best Latin Jazz Album for his OKeh release ‘What’s Up?’ – so great for him and sooo good for the new label. A positive start with getting that kind of recognition. Unfortunately we didn’t get any nomination for the Grammy for next year – all Jazz categories were without a OKeh record ….. and I had hoped that at least the song ‘Deep in the weeds’ by Bob James and David Sanborn would get something, having had such a great run on US jazz radio, being #1 at both traditional and contemporary jazz radio. But it wasn’t to be – more and better work than next year to get some …. 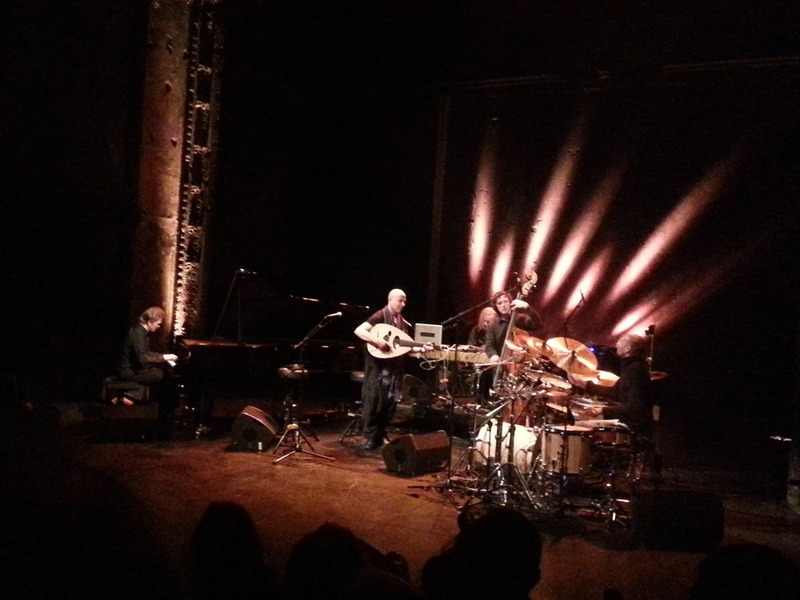 I went to Paris to see Dhafer Youssef perform his new album Birds Requiem in an old theatre – Les Bouffes du Nord and it was an incredible concert in a full house, that was perfect in style and atmosphere for the show. Dhafer for me is one of the great voices of our time – an amazingly pure singer, who can touch deeply by just chanting. Raw emotions. His band as well incredible powerful, especially Eivind Aarset on guitars, who is a magician of sounds and Kristian Randalu on piano, who is powerful and subtle at the same time. Impressive. What else: if you haven’t seen it yet, go and watch Blue Jasmine, the new Woody Allen movie – one of his best for years.And it is worth seeing just for the powerful performance of Kate Blanchett – a real contender for an Oscar. With the passing of Nelson Mandela the world lost one of the few true role models of our time. Humanity needs people like him – every generation needs someone to look up to and he was this person for my generation more than anyone else. R.I.P.